You want to start your day with purpose, use your strengths, and take meaningful action. I'll help you get there. Listen to Jacob's Affirmations. 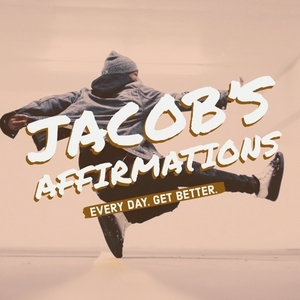 A new episode of Jacob's Affirmations is created daily to help you get there. Invest 5-minutes in you. Be Curious. Always Seek to Understand Yourself. Take some time this morning to wake up every part of you needed for you to be at your best. What has happened in your life this year? Think about your successes. Think about the steps forward you took. Take a moment to think only about the positive. Have a day to place 0 focus on your goals and priorities. Let yourself breath and enjoy the moment. I challenge you all to greet today with love! What stands in the way, becomes the way. Even when times get hard, we have no choice but continue moving forward. One step in front of another. It may take longer than we want it to, but we will get there eventually. Keep moving forward. Today is all about taking time to make sure my actions are aligned with my goals and values. Then, I’m sprinting to the end and getting a ton of quality work done before starting the weekend. I was feeling overwhelmed this morning, but I took the day one step at a time and I dominated. Big Mood! Let's do it again tomorrow. Todays focus is taking things one at a time. I have a mountain to climb, but I will get there gradually. Do something that makes you nervous and will help you grow. Alexa Curtis: Loving Life, the Hustle and Radio Disney This episode is a big deal! I'm so grateful Alexa Curtis made time out of her busy schedule to chat with me. She's so full of energy and radio to conquer the world. She is barely out of her teenage years but has already written for the Huffington Post, been featured on the Today show, has her own TEDx Talk and has a radio show getting ready to launch on Radio Disney later this summer. All as a tribute to her ability to problem solve and outwork the people around her. "The World Is Yours!" - Alexa Curtis Read more about Alexa at www.lifeunfilteredwithalexa.com and follow her on social media at @alexa_curtis. I Got The Job!..Now What? This week is looking into the future and figuring out what my next move will be. Be Aware of Your Self-Talk! Start your Monday off by taking control of your self-talk! Keep moving and growing! Forum Friday: How to Navigate Office Politics In this episode of Forum Friday, we break down five tactics that will help you effectively navigate office politics. 1. Never outshine the master 2. Always understand the other person’s perspective 3. Build a strategic network 4. Learn to be observant 5. Always Offer Value Join the conversation on Twitter and Instagram by following @MrJacobEspi Be sure to visit JacobEspinoza.com if you are looking for a StrengthsFinder coach for yourself or a leader in your organization. Day 79: Define the WHY! I had a blast joining Mitch and Cedric for their podcast All The Way Up. They asked me WHY I do what I do. The answer is simply to HELP people learn to take action and understand that it is okay to try, fail and make mistakes. This is a constant drive for me to continue wanting to get better and finding new ways to connect. Let me know what inspires you. I'm easy to find! @MrJacobEspi on both Twitter and Instagram. DJ Klyph: The Value of Serving Others and Gratitude DJ Klyph has been giving hip-hop artists in the NW a platform to share their talents for the last 10 years. The Welcome to the Neighborhood Radio Show is a staple within the northwest hip-hop scene. His focus showing the support without asking for anything in return its a big deal. During this interview, we talk about WHY he stays so consistent, and the things that keep him moving forward. Tag @DjKlyph and @MrJacobEspi on Instagram and let us know your biggest takeaway from the episode. Visit JacobEspinoza.com/Podcast for more. Interview with the Professor! This is a BIG Deal! We talk about Professor's introduction into streetball, the first Spiderman basketball video and How he dominates social media. 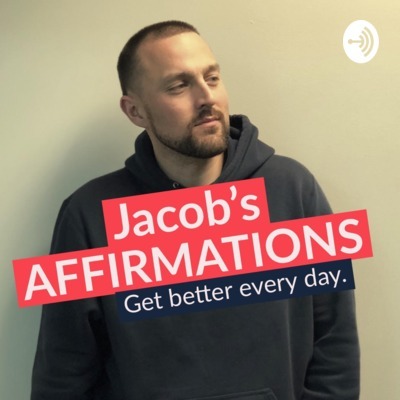 Huge thanks to Grayson for making the time to chat with Jacob's Affirmations. Be sure to follow him on Instagram @GlobalHooper. Three Lessons We Can Learn: 1. Never Quit 2. Be Self-Aware 3. Don't let fear hold you back! Be sure to hit that subscribe button and share your biggest takeaways from this episode by tagging @MrJacobEspi and @GlobalHooper in your post about today's episode. Sebo Walker: Skateboarding, Moving On and Falling in Love with the Process Big shout out to Sebo Walker for taking the time to talk with me for Jacob's Affirmations. There are a ton of great insights in this episode about the power in falling in love with the process and believing you can make the impossible happen. So much of what Sebo has done is because of the attention he puts into detail and impact he focuses on making with every interaction. Be sure to follow Sebo on Instagram at @SeboWalker, @Seboart, and @Sebovids. Take a screenshot of this episode and tag @MrJacobEspi and @Sebowalker on Instagram with your biggest takeaway from the episode. My favorite episode of the week! Forum Friday. Thank you, Tam and my dad (@AuthorDavidEspi) for the questions. Today we discuss dealing with self-doubt, staying motivated and how a "Judgemental" environment will negatively impact your team. Be sure to check out JacobEspinoza.com and pick up a free ebook that will help you understand a few of the fundamental leadership skills required to be successful in your role. Interview With The Best Dad Ever! Happy Father's Day! I really do love my dad a lot. He went through a ton to be able to provide an amazing life for his family. His story is proof that positive decisions go a long way! The ripple effects are real! Keep moving forward you guys. I appreciate you all so much! Huge thanks to Alex Elsberry of Elevate Training (@ElevateMyTraining) for stopping by for our FIRST interview on Jacob's Affirmations. I'm excited to share this one with you guys. Alex drops a ton of gems on the reality of motivation. The fact is that we will not change until we become dissatisfied with how things are. Be sure to join the conversation by following me @MrJacobEspi, I love hearing your biggest takeaways from every episode. Macklemore's rise to fame was a GRIND! He made amazing things happen with his partner Ryan Lewis and manager Zach Quillen. We can learn a ton from his grind making a name for himself in the music industry. 1. Find something you are passionate about AND good at 2. Find a team to fill in your skill gaps 3. Spend every waking moment mastering your craft 4. Dominate every opportunity put in front of you, and use it as a springboard to the next What opportunities are you getting ready to dominate? Let me know @MrJacobEspi on both Twitter and Instagram. Forum Friday is always my favorite episode! Thanks for keeping the questions coming. Today we talk about how the importance of developing your self, owning your career and making the most of every situation. Send your questions to me for next week. I'm @MrJacobEspi on both Instagram and Twitter. :) You guys are amazing. Really excited for this episode. I take turns with Kes (@Kes on Instagram) and discuss the value of BEING YOU! Be self-aware and use the things that make you unique to improve your life and help the people around you. We are miracles. We are one of one. There will never be another person like you. You are rare, and there is value in rarity, therefore you are valuable! Embrace it. Own it. I appreciate you. Day 68: Make a One Minute Commitment! Today we talk about irreducible minimums. This is a concept that will help you continue to make progress, even on the most hectic days. Every great city starts with a break. If we want to get better, we need to understand the value of taking action every day. Small steps get there and help us build momentum. Learn to love the journey! The story is familiar. The hotshot, super talented new employee gets off to a screaming start only to see his ego get the best of him. The story of the Hare & the Tortoise is a classic that discusses why self-awareness, humility, and consistency win every single time. This world is full of examples. Talent wins now, but the people that put in the hard work win big. The Emperor's New Clothes is a classic short story. For this episode, I focus specifically on lessons we can learn within the realm of leadership. Please let me know how this episode helped you become a better leader. Follow me on Twitter and Instagram @MrJacobEspi. Forum Friday: My Best Episode Yet! Positivity is my thing. People often ask me how I seem so positive all the time. Here is the secret: It is all about perspective. Two things you need to know: 1. Learn to love the things you already have. 2. Immediately accept the things that are out of your control. I didn’t think of these things. They are based off the Stoic Philosophy and I learned about them in a book called A Guide to the Good Life. Read the book. Enjoy the podcast. Share with friends. This was a fun one! Thanks to everyone who was there to watch me struggle through the first couple of drafts. I'm looking forward to being online with you guys answering questions, every night at 10 PM. Today we talked about the difference between SMART goals and Big Ambitious Goals, how to find your passion and finding your Why! Follow me on Instagram, @MrJacobEspi, to join the conversation. See you guys tomorrow! Big Edition of Forum Friday! These remain my favorite episodes of each week. Today we talk about a few different philosophies of how to get rich as well as an outside the box approach for entrepreneurs preparing for their kids to be in their home this summer. Leadership development is so important. Being able to successfully build winning team will allow success in every area of our life. Enjoy your weekend everyone! Be sure to follow me on Twitter and Instagram, @MrJacobEspi. The goal isn't to be a certain way or feel a certain way. The goal is to understand what we are feeling and how we are. After we are self-aware, we can take steps and learn how we can help the people around us. Emotional Agility, Growth Mindset, and Emotional Intelligence are all topics related to today's episode. I'd love to hear your thoughts. Shoot me a line @MrJacobEspi on both Twitter and Instagram. The art of persuasion is important for anyone who speaks publicly as part of their job, this is especially good advice for young leaders. Talk Like Ted by Carmine Gallo is an amazing resource on teaching how to talk like the speakers in your favorite Ted Talk. In this episode we discuss the importance of having credibility, bringing data, and being human in each of your conversations. Thank you so much for subscribing and sharing with your friends. Follow me on Twitter and IG, @MrJacobEspi. Shout out Bobbbaaaay of Purpose in the Youth for making a special guest appearance on today's show. Pick on thing to focus on at a time. It is the key to more productivity and less stress. Multitasking is a myth! Our brain is built to conquer one task at a time. You got this. Keep getting better! Stay in touch with Bobbbaaaay at: IG: instagram.com/bobbbaaaay Twitter: https://twitter.com/Bobbbaaaay Website: http://www.purposeintheyouth.com/ Find me on Twitter and Instagram, @MrJacobEspi. Enjoy the show. Four Words to Summarize this Episode: If Not Now? When? It's so EASY to put things on the back burner and tell ourselves we will get to it later. These things are usually the hardest things to do, and also the things that will give us the most reward. What is something you've been putting off that you will make yourself tackle this week? Drop me a line on Twitter or Instagram, @MrJacobEspi. I had an amazing week! I started off being Baptized on Sunday at Outward Church in Salem. I'm super blessed, humble and grateful for the opportunities in my life right now. I want to give back as much as possible! Forum Friday is my favorite episodes each week. Thanks to everyone asking questions and giving me an opportunity to provide insight. Send me your questions on Twitter, @MrJacobEspi. I'll pick a few of my favorites to answer in next week's episode. Have a great weekend everyone! We don't get a second chance to make a first impression, and we don't get a second chance to relive a day. Make the most out of every moment. Make the most out of every opportunity. When we make this our habit, we win. Let me know what goals you are working towards. I'm on Twitter and Instagram, @MrJacobEspi. Day 53: You Can Grow! You Can Get Better! Developing a Growth Mindset is the start of every journey. When we believe we can get better, we approach every moment differently. Follow me on Twitter and Instagram for more, @MrJacobEspi. I was in the middle of an already awkward performance when people in the audience started asking us to fight on stage. I'm still grateful to have been invited. I also learned that even when things go worse than expected we can use them as opportunities to continue getting better and as confidence boosts to take action even when we are afraid. Learn to love new challenges! Follow me on Twitter and Instagram, @MrJacobEspi. I have no idea what I'm doing, and that is exciting for me! Focusing on how far I still have to go is fuel for my fire. Being insecure about a new challenge is also part of the process of getting better. Don't let it stop you. Keep going. Let me know how your journey is going. I'm on Twitter and Instagram @MrJacobEspi. Episode #50! This is a big deal for me. Thanks for everyone tuning in and offering words of encouragement. Shout out @SLMhoopsproject for helping me come up with a name for my Friday Episodes. Forum Fridays are here to stay! Today we discuss dealing with passive aggressive bosses, creating change to help inspire action and dealing with difficult emotions that hold us back. Enjoy! Follow me on Twitter and Instagram for more, @MrJacobEspi. Day 49: Every Step is a BIG Deal! First of all, I'm celebrating today because I had someone reach out to me on Twitter and let them know they subscribed. If you get a chance, go follow @DJSneakers on Twitter and let him know I said thanks. It's so easy to overlook the small wins we have on our path and instead focus on all of the obstacles. Let every small victory be proof that you can and will reach your goals. Follow me on Twitter and Instagram, @MrJacobEspi, and let me know about the small victories you are earning. You want to start your day with purpose, use your strengths, and take meaningful action. I'll help you get there. Listen, subscribe and share with friends who are working toward something great. Envisioning your success is most important when things are down and you feel like giving up. In today's episode, we give you a few tactics that will help you keep moving forward. Enjoy and keep going! The second of Stephen Covey's seven habits of highly effective people, beginning with the end in mind will allow you to visualize yourself succeeding and then create a plan that will allow you to bring it to life. Things come to life twice, first in our imaginations and second in reality. What does your end goal look like? Let me know on Twitter or Instagram, @MrJacobEspi. “I've learned that people will forget what you said, people will forget what you did, but people will never forget how you made them feel.” - Maya Angelou This is the focus of the week. Focusing on how I am making people feel during my conversations. Self-awareness is the key to great and impactful interactions. What can you do to help you be more aware of how you are impacting the people around you? Let me know on Twitter or Instagram @MrJacobEspi. Our second Question and Answer Friday! A few things about this episode: - I need a new name for my Friday episodes. Help? - Creating A Winning Culture on Your Team - Get the RIGHT kind of exposure in your career - Focus on the small things getting you to your big thing Follow me on Instagram and Twitter, @MrJacobEspi. Day 44: Ego is the Enemy! Getting to reference Gary Vaynerchuck and Ryan Holiday in the same five-minute podcast is exciting for me. Today we become aware of how intensely our egos are holding us back. If we want to accomplish big things we need to THINK BIG and ACT SMALL. Gary Vaynerchuk describes this idea as clouds and dirt. We need to dream in the clouds and live in the dirt. For more and to stay updated on how you can be taking impactful meaningful action in your life, follow me on Twitter and Instagram @MrJacobEspi. Day 43: Who Do We Make Time For? Today's episode is inspired by a tweet from The Rza. "Meditate on this: Dedicate your time to chase after the things that make your eyes light up, genuine friendships that aren’t complicated, trying new things that scare you, and spending time with people who truly love and appreciate you." How much time do you make for the people who truly appreciate the things you offer to the world? For more, follow me on Instagram and Twitter, @MrJacobEspi. Our first Q&A Session! Had to give the first question to my dad who has been my #1 supporter my entire life. (Be sure to check him out on Twitter @AuthorDavidEspi!) In this session we discuss balancing ambition with patience, delivering feedback for new leaders and more. Submit your questions for next weeks Q&A session on Twitter or Instagram by sending me a message or tagging me in your post, @MrJacobEspi. Just like our body is impacted by our food selection, our brain is impacted by the environment we select. Be sure to keep positive people in your circle. You will need to rely on them when things get challenging, especially as you are looking to create massive changes in your life by taking impactful action! Day 33: Stay Humble. Keep Moving. Today's music is provided by Serge Severe. Make sure to follow him on Instagram @Serge_Severe. The secret to success is making the most of what you have, where you are. That is it! There is no perfect time to get started. The situation will never be perfect. We need to figure out how to make the most out of what we have. Once this becomes a habit, we will conquer our goals, live fulfilled lives and be able to help out the people around us. Thanks for checking me out. You can also follow me on Instagram @MrJacobEspi. Day 32: Growth vs Fixed Mindset. What is the difference? Thanks, Matty for the music. Make sure you follow him on Twitter @Matty503. On today's episode, we explore the difference between having a Growth and Fixed Mindset, and how each will impact how we view taking on new challenges. Growth Mindset is the start of every great journey. When we believe we can get better, we act like we can get better. Follow me on Twitter and Instagram @MrJacobEspi. Day 31: Growth Mindset--Step Up To The Challenge! The most important scroll of all, I will pray for guidance. Praise God for the blessings of each day and ask Him for strength, courage and humility. I will pray for guidance. Today is all about taking time to ensure important things aren't being missed and I continue focusing on the things getting me results. Day 6: Work Hard. Follow Through. Standing out from the crowd can be as simple as working hard and following through on commitments. Let your values define your decisions, don’t be swayed by the mob. Leadership is about getting better so we can help the people around us get better. We are given the ability to grow because it is our responsibility to grow everyday.